Well, have I got a surprise for you: I just discovered the fruit of Knowledge of Good and Evil – it’s the coffee bean! And it is located not in Mesoptamia, today’s Iraq, but in Colombia, South America. As the plane was descending toward Armenia (pronounced ar-MEN-ia), in the coffee-growing region of Colombia, the land underneath us came into sharper focus: lush vegetation, tropical trees and rows upon rows of coffee bushes clinging to the sides of the hills. I was thinking that God made a mistake in parting the waters of the Red Sea. If he could perform such a miracle, why not the Pacific ocean? The Israelites spent 40 years in the desert before reaching the Promised Land (couldn’t they ask for directions, for heaven’s sake?). They could have reach the true paradise situated here in the coffee region, and in half the time. Well, even if not “the true paradise”, God must have had it in mind when he created the biblical one. As we entered the hotel, Mirador las Palmas, the first reaction was a gasp, and a WOW. The beauty of this location is beyond description. I am sitting on the balcony outside our room, looking at the cloud-shrouded mountains, the rows of coffee plants on the mountainside, the various kinds of palm trees, I am immersed in the full-throated chorus of goldfinches, tanagers, and countless other colorful tropical songbirds. 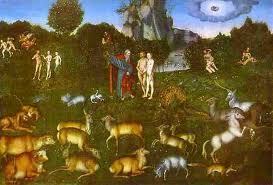 This was the very image of Paradise I had since childhood, when I read the biblical fable. The partners who built and manage the hotel, a Colombian and a hybrid American/Israeli, spared no effort to make the their creation an integral extension of the surrounding. No detail was neglected -perfection everywhere you look. When I trained in medicine, eons ago, my professors and supervisors seemed to have a visceral suspicion of anything coffee. It increases the odds of getting pancreatic cancer, it can give you a stomach ulcer, it will increase your blood pressure, it will cause a stroke. It weems that the medical world threw at it everything, including the kitchen sink. Thankfully, none of it proved factual, but prejudices and strong opinions die hard. As recently as a couple of years ago I filled out a questionaire designed by a well-known longevity researcher, and he lopped off 2 years from my life expectancy just because I drank 2 cups a day. Yes, if you drink huge amounts of coffee every day it may raise your blood pressure. And, if you are one of those who can’t sleep if you drink too late in the day, don’t worry – it is genetically determined, nothing wrong with you. Other people, with a different genetic makeup actually can get sleepy after they drink coffee. Type 2 Diabetes: an extensive review was published in the Archives of Internal Medicine. In that review, researchers looked at data from more than 450,000 people in 18 studies, and found that for every extra cup of coffee drank a day, a person’s risk of Type 2 diabetes decreased by 7 percent. Of course that that doesn’t mean that if you drink 14 cups a day you are 100% protected from getting the disease. Bottom line: not everything that is “good for you” tastes bad. Think how “they” tried to tell us that wine was as bad as sin, and chocolate was plain awful for our health. They were plainly wrong. Now we know that coffee is great stuff. So don’t feel guily and have a cup of Joe in the morning, or two, or three.